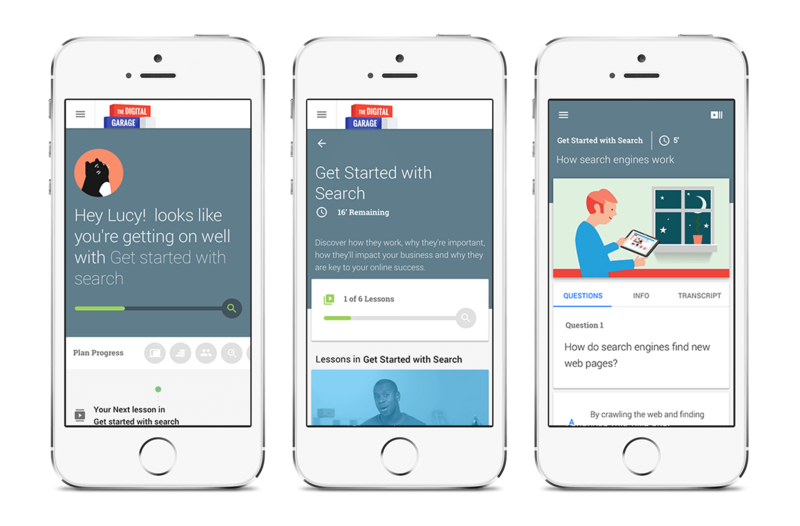 Google wanted to build a platform to educate and inspire small to medium sized businesses to grow their companies by improving their digital skills. 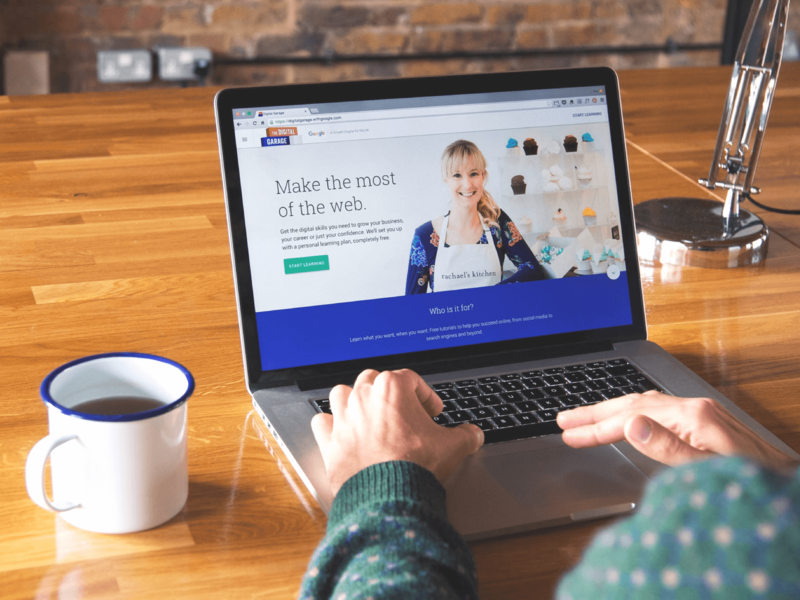 The Digital Garage has now launched in 33 European markets to date, with over 1 million users creating an account and over 6 million completed lessons. 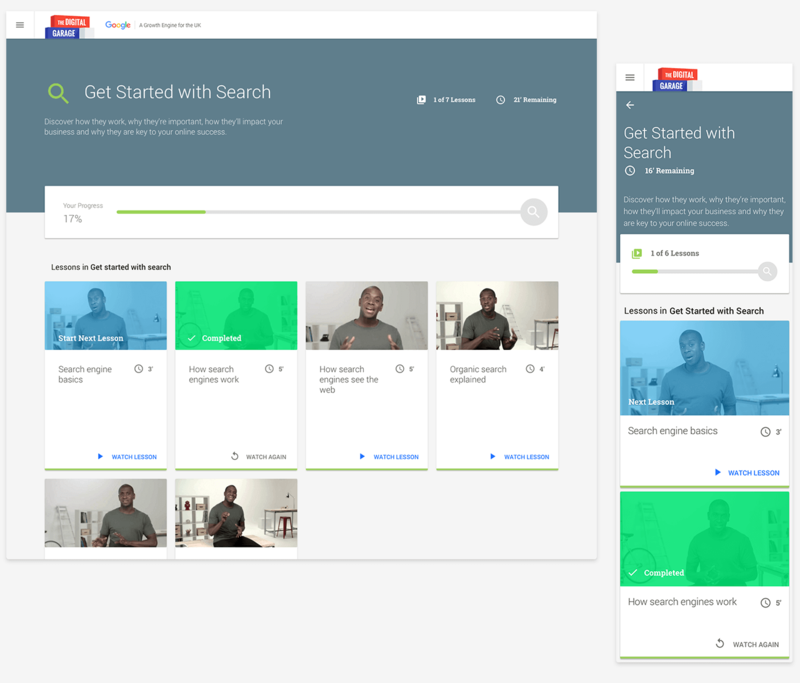 We created a comprehensive, interactive "Diagnostics Tool" that suggests a personal learning plan based upon the user's answers to a set of questions. Each plan is tailored to the visitor’s commercial situation, current knowledge levels and goals. 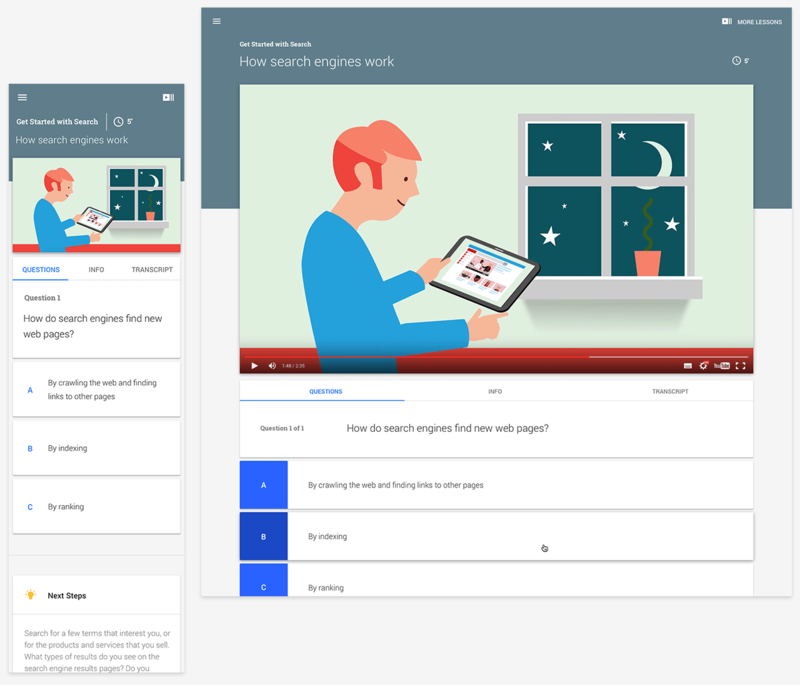 Teaching materials within the topics take the form of videos accompanied by interactive quizzes and assessments that help the user learn and retain knowledge. Joining the team as UX designer I worked closely with the extended team to develop an in depth and intensive UX: IA, user journeys, sitemaps, wireframes, interactive prototypes. I then moved over to the visual design team to help execute and create the visual world that is the Digital Garage. 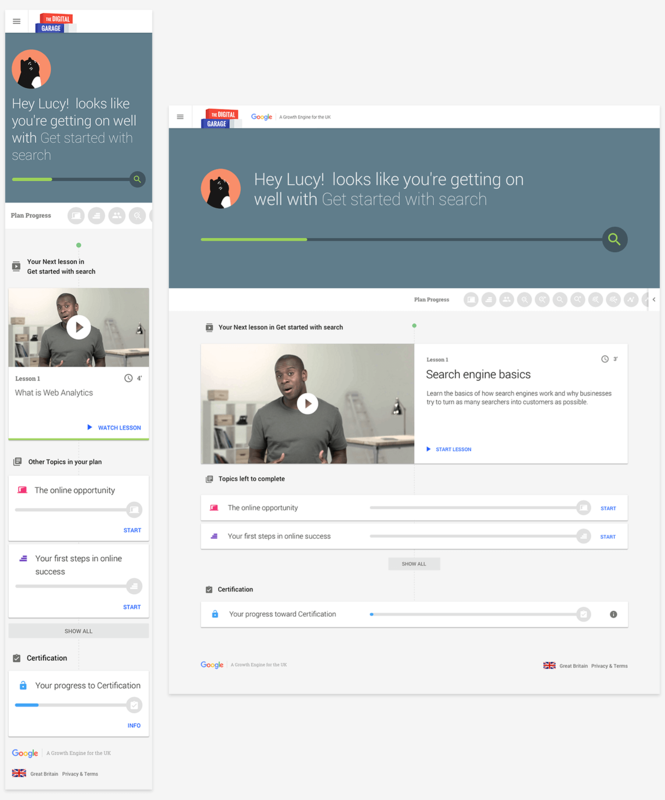 Utilizing Google's Material Design language to create a modular UI for the platform, it meant we could make a foundation framework for the content which will translate easily to all devices and make the experience easy to navigate and explore for the user.